If you have been wondering who the entertainment will be at this years Rattlesnake Rodeo (in Opp, AL) you can put your mind at ease because this year’s lineup has at last been announced. Headlining the 57th annual Rattlesnake Rodeo on Saturday March 11th is none other than Chris Jansen. Though he may be a newer face in Country music he has already made a huge splash with his hit single “Buy Me a Boat” which debut in March of 2015. He has written singles for Tim McGraw as well as several other great country music artists, and has played harmonica for Lee Brice. Sunday March 12th is not looking to be a snooze fest either with Confederate Railroad headlining the 2nd day of the event. Confederate Railroad is no stranger to the music world. They debuted their country/rock sound in the early 90’s and have not slowed down since. Their achievements include Best New Group at the ACM awards as well as their 2x Platinum self titled album they released in April of 1992. 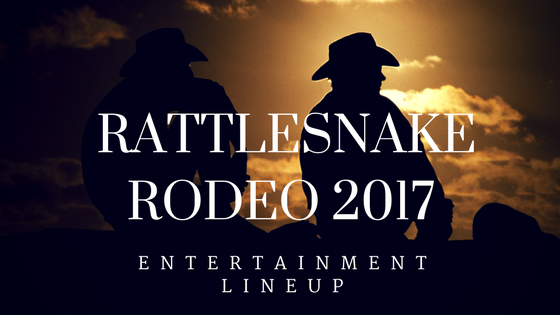 The Rattlesnake Rodeo is known for its stellar music lineup and without a doubt 2017 is not going to disappoint.